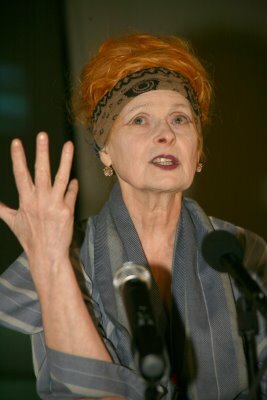 After touring the studios and meeting with students in the School of Fashion, British fashion designer Dame Vivienne Westwood DBE (Dame of the British Empire) was honored with a luncheon where she received an Honorary Doctorate from Academy of Art University President Dr. Elisa Stephens on Sunday, March 4th, 2007. After the luncheon, she joined the student body in Morgan Auditorium for a question and answer period. 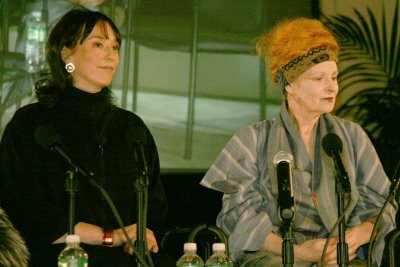 Gladys Perint Palmer, fashion illustrator and executive director of fashion at Academy of Art University, presented Vivienne Westwood with an illustration of one of Vivienne’s past runway showings in Paris. 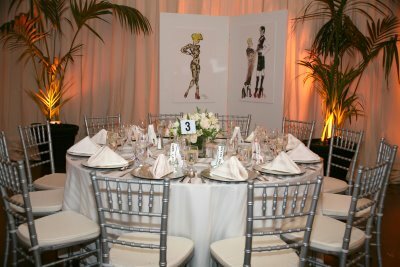 The luncheon also showcased an exhibition of Gladys Perint Palmer’s illustrations of Vivienne Westwood’s collections through the years and also while on the set of Robert Altman’s movie ‘Pret-A-Porter’ (Ready To Wear), which was released in 1994. 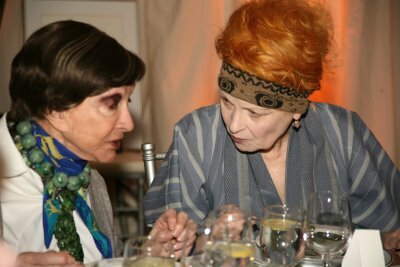 The caterers prepared a raw food meal for Vivienne as she had just started a raw food diet three weeks before. 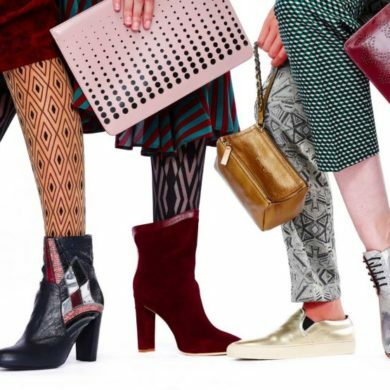 The feast ended with a chocolate dessert in the shape of a Vivienne Westwood platform-heel shoe, which had guests exclaiming “Bravo! !” as they were being served. 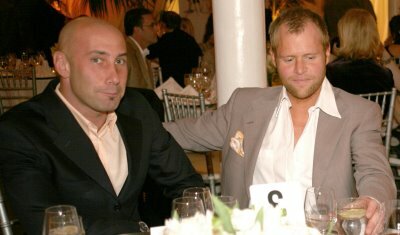 Richard Klein of Surface Magazine with Brad Lande. 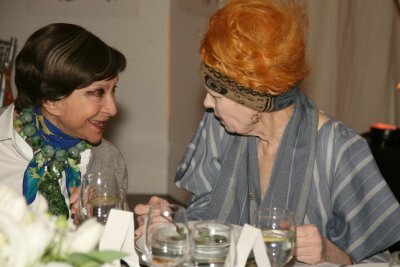 Dodie Rosekrans (John Galliano’s former patron) and Dame Vivienne Westwood DBE. 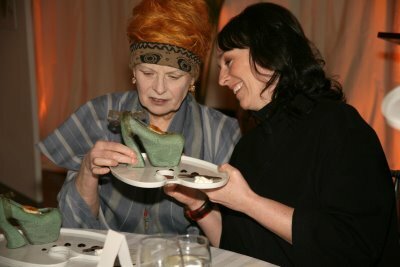 Dame Vivienne Westwood DBE and Academy of Art University President Dr. Elisa Stephens inspect the chocolate dessert in the shape of a Vivienne Westwood platform-heel shoe and filled with chocolate mousse. 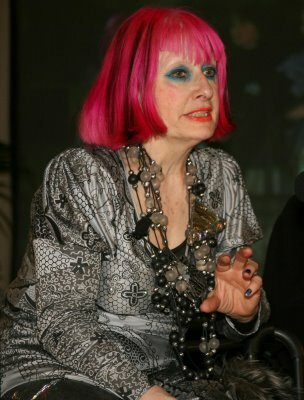 After being presented with her Honorary Doctorate from Academy of Art University in San Francisco by President Dr. Elisa Stephens, Dame Vivienne Westwood DBE addressed the audience of luncheon guests and approximately 1,000 fashion students in a question and answer period moderated by Gladys Perint Palmer, executive director of fashion at Academy of Art University. She advised the students that “If you want to be a fashion designer, don’t look at fashion magazines. Don’t care about them. Look at costume.” In addition to sources from costume to biology, she told them to visit museums and focus on a favorite painting. She asked them to decide which painting they would save if a fire broke out and to rethink this decision every six months as their tastes will grow and change as they expose themselves to more art and culture. Vivienne herself enjoys fine art, costumes, museums and music such as classical and opera. 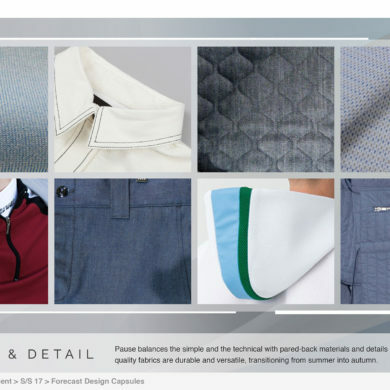 “You must know culture and the past to be a good designer,” she urged them. After the discussion, she asked to be dropped off at the Asian Art Museum to enjoy some of the culture that San Francisco has to offer.